Dream Big. Train Smart. Finish Strong. We offer Training Plans & Coaching for Road, Ultra and Trail Races, including 10 km, 15 km, Half Marathon, Marathon and Ultra Marathon distances. Join Runners Inc. and together we'll make your running dreams come true! Specialties include Trail Running and Ultra Marathons, nutrition, race day tactics, mental preparation for a race and enjoy running (even when training is hard or time short 😃). It all starts with your ambition. Your ambition to finish a 10 km race, improve your Personal Best Time, maybe finish your first Ultra Marathon. At Runners Inc. our passion is helping our clients achieve their ambitions in running through Expert Training Plans and Coaching. 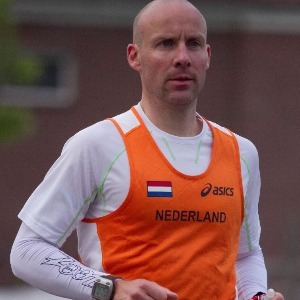 As an athlete, Jeroen is a Dutch 24h National Champion and competed in Ultra Marathons including Spartathlon, Greece (placed 7th), the IAU 100 km World Championships in Qatar and he has won several 12h and 24h races in Europe. He placed 2nd during his most recent 6h race in Germany. Overall, he ran innumerable Marathons and Ultra Marathons (that’s what you get when you train 200km+ a week 😃). All while working a full time job and becoming a father (twice!) the past 6 years. Being a former mountaineer for over 10 years, Jeroen has climbed many of the 4.000m+ peaks in the European Alps, summiting the Mont Blanc many, many times. Climbing mountains led to running in the mountains: i.e. Jungfrau Marathon, Davos 78K, West Highland Way Race, Gore-Tex Transalpine Run. You can benefit from Jeroen’s experience in Road Races, Trail Running and Ultra Marathons to secure reaching your Running Goals and Ambitions. Runners with Dreams and Goals, who require a Training Plan and Coaching designed to help them FINISH STRONG. Success. Coach Jeroen Renes has been notified of your message.